The Causes of Hair Fall and What to Do? You may have heard it time and again; losing 50-100 hairs a day is normal. However, what happens if you lose more? There are more than 100,000 hairs on your head, and the lost hairs can, more often than not, be replaced with new ones. But, if excessive hair fall has been a constant in your life for some time now, you need to look more seriously into the matter. 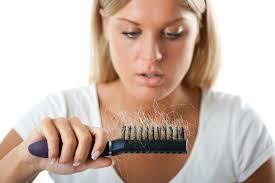 The condition of hair loss manifests itself in the form of clogged drains or clumps of hair in your brush. Worse, you might be noticing thinning patches of hair on your head. If this sounds familiar, perhaps, you might want to consider getting to the root of the problem. Rest assured, hair fall is a common problem, and can be treated with the right medication and enough patience on your part. That said, following are the primary causes of this condition, followed by the most effective hair loss remedies. Hair fall is most commonly prevalent in people who have had a family history of hair loss, genetic play a huge role in this. 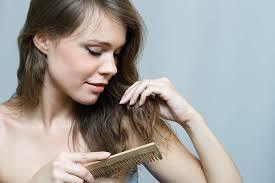 Some hormones also trigger hair loss which usually begins during puberty. Other factors such as traumatic events, surgeries and major illnesses can also trigger acute hair fall. In such cases, hair starts growing back on it own after some time. Temporary hair loss can be caused due to menopause, sudden discontinuation of birth control pills, childbirth and hormonal changes due to pregnancy. Sometimes severe medical conditions can also cause hair fall such as scalp infections (ringworm), alopecia areata (autoimmune disorder which damages the hair follicles) and thyroid disease. Disorders like lichen planus and certain types of lupus can also cause lichens which result in hair fall. Many times hair fall can also be triggered by the use of medications used to treat heart problems, depression, arthritis, high blood pressure and cancer. Emotional or physical shock can also trigger hair loss such as high fever, extreme weight loss and death in the family. A hair pulling disorder known as trichotillomania makes the affected person pull out his/her hair deliberately. It is an impulse control disorder which can be treated by therapy. The affected person can pull out hair from their eyelash, eyebrows and the scalp. Tying our hair very tightly puts immense pressure on the hair resulting in breakage. This is known as traction hair loss. Consuming less iron and protein in your diet can also lead to thin hair. A fast-paced life, insurmountable deadlines, and the quest for achieving the perfect work-life balance can lead to levels of stress that didn’t exist before. 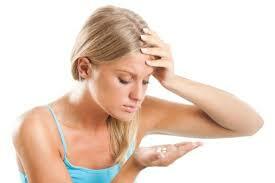 Unfortunately, intense stress can act as a trigger that disrupts the Hair Growth Cycle. Evidence suggests that acute and chronic stress may precipitate hair loss conditions such as genetic hair loss, Telogen Effluvium, Alopecia Areata and Trichotillomania. Add to it habits like smoking or styling your hair too much, both of which contribute to hair loss like no other. The not only make hair more prone to damage, but also reduce its overall quality. Did you know, your hair requires protein, glucose and vitamins for optimal growth? Lack of all three is one of the primary causes of hair fall. Scientifically, the hair follicle is a non-essential tissue, and also one of the last tissues to receive nutrients. 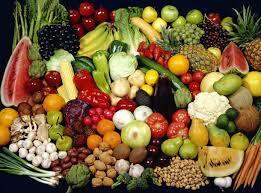 Therefore, any long-term deficiencies of nutrients may lead to hair loss. 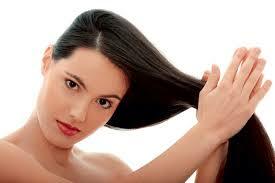 Protein deficiency can also cause unexpected hair fall, as hair fibres consist of 80-95% protein. Even infrequent eating may cause the hair to fall out prematurely due to a decrease in the amount of energy available to the follicle. To ensure that you do not aggravate the hair fall, consult a dietician to chart out a plan that fulfills your daily requirements for protein, vitamins, and glucose. Hormonal irregularities like Polycystic Ovary Syndrome or menopause can contribute to a disruption of the hair growth cycle, leading to severe hair loss conditions like Angrogenic Alopecia and Telogen Effluvium. Pregnancy and childbirth also disrupt the cycle by delaying the shedding phase. Post-delivery, a woman experiences excessive shedding as many hairs enter the resting and shedding phases, causing what seems to be a large amount of hair to fall out at once. Bringing your hormone levels back to regular can be achieved with proper medication that addresses any causes of irregularity. Does your family have a history of hair loss or balding? The genetic influence on the hair follicle is the most common cause of hair loss in both women and men. Male and Female Pattern Hair Loss are the most common conditions connected with genetic factors, yet certain other hair loss conditions, such as Alopecia Areata, may also partly be caused by genetic influences. By virtue of sharing the same DNA with your immediate family members, you might run a higher risk of experiencing hair fall than those who don’t. Conditions like diabetes, the process of chemotherapy, consuming anti-depressants, contraceptive pills, thyroid medication, or antibiotics to combat digestive issues and infections are known causes for disruption of the hair growth cycle. Longer treatment processes like diabetes have a gradual onset, and reduce the overall state of health, thereby, affecting normal hair growth too. 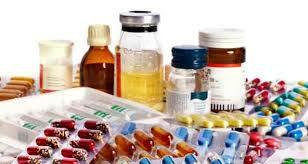 However, it needs to be noted that the impact of medication may vary from person to person. If your body is already subjected to an unhealthy lifestyle, there are higher chances that these medications will trigger hair loss and affect your hair growth cycle. Oiling regularly with essential oils, hair masks, and dietary changes can prove to be immensely effective in reducing your hair fall. While the above two methods are deemed more appropriate for intense, long-term hair fall, you can start by home-based solutions, and see how effective they are. If, however, your hair fall condition doesn’t respond to those, consult a professional immediately and seek medical help. Over-the-counter medication like Minoxidil and Finasteride are approved medicines for both men and women that your doctor will prescribe you after consultation. While Minoxidil comes as a liquid or foam that you can rub into your scalp daily, Finasteride is a drug that you can take daily as a pill. It is advised to Consult your doctor before taking any medicine. Low-level laser devices have emerged as a valid treatment option for combating hereditary loss caused due to excessive hair fall. 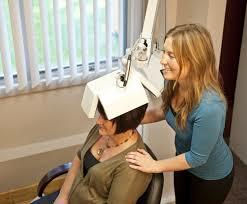 Laser therapy not just improves hair density, but improves the overall quality of hair by stimulating the scalp. It is vital to visit a dermatologist if you are facing severe hair fall. The dermatologist is most likely to prescribe medications which contain corticosteroids and a substance called minoxidil. Hair transplant surgeries and scalp reduction surgery is also advised in severe cases.